The AMBIGON office, commercial and medical centre stands in the heart of the Schlossviertel Nymphenburg area in the established quarter of Neuhausen-Nymphenburg. Alongside roughly 4,000 sqm of high quality offices and retail space, the AMBIGON accommodates a large medical care unit. Two supermarkets, a chemist, a medical retail business and a café on the ground floor complete the range. AMBIGON maintains a balance, giving the impression of an harmonious complex while ensuring its various divisions retail their distinctiveness. All areas were designed to meet specific needs, and have separate entrances and clearly marked visitor walkways. 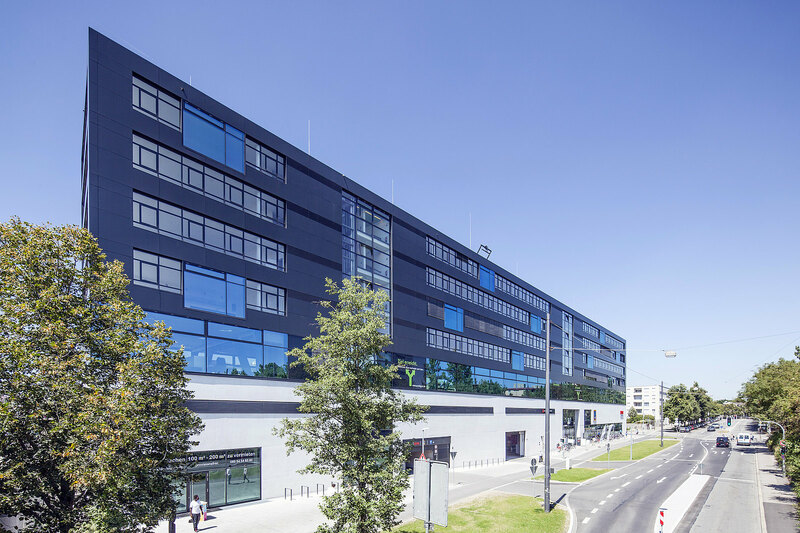 AMBIGON has been awarded with the gold certfication from the German Sustainable Building Council (DGNB). Over recent years, a multi-faceted urban district has grown up around AMBIGON as CA Immo has developed the Schlossviertel Nymphenburg. The quarter is home to upper middle class residents with above-average buying power and an appreciation of quality. More than a thousand comfortable apartments, a kindergarten, school, park and a new sports centre (the Sportpark Nymphenburg) have sprung up in this area alone. Attractive restaurants have opened very close by as several reputable companies have relocated to the district. 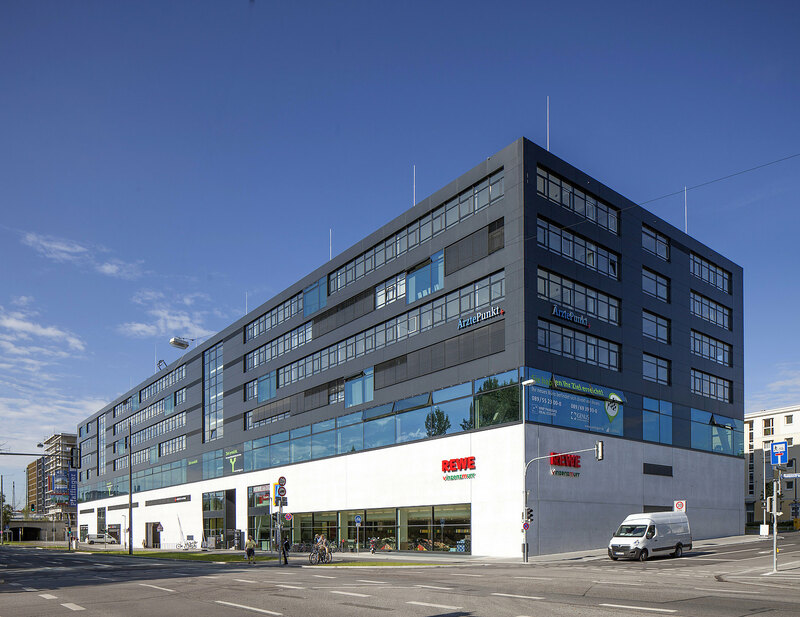 With an S-Bahn station just 100 metres away and a bus stop on the doorstep, the AMBIGON is ideally linked to all districts of Munich as well as the airport. The building also stands on the Wotanstrasse/Laimer underpass, a major north-south artery for the city. Do you have any questions, or need more information on AMBIGON in the Schlossviertel Nymphenburg in Munich? Simply contact us!